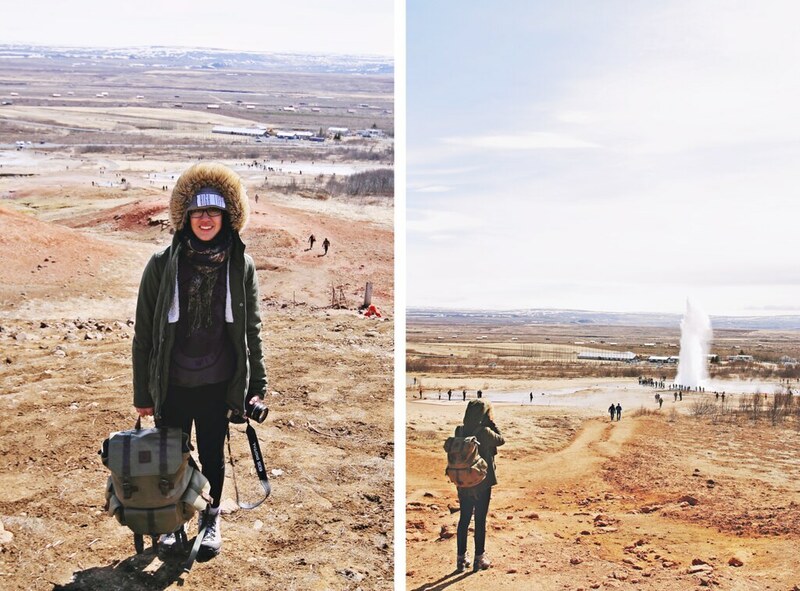 The first morning was a bit rough for us - now the real adventure began and it started out pretty darn cold. 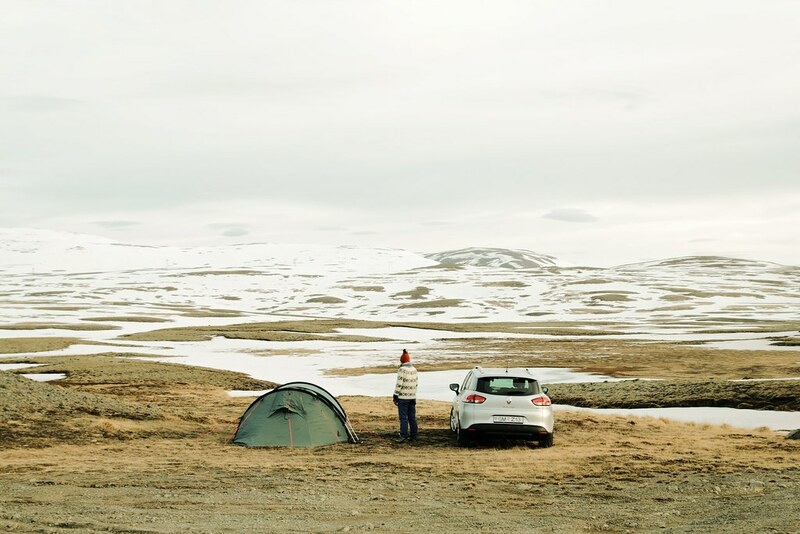 Camping rules in Iceland are pretty relaxed and you can camp for a single night anywhere on unbuilt land as long as you do not harm vegetation and there is no campsite nearby. 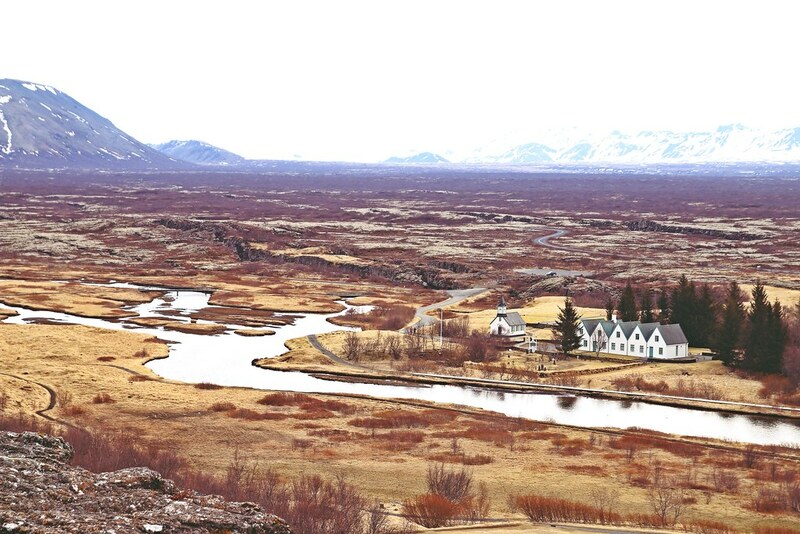 So the night before we randomly located ourselves a spot between snow covered mountains on route 36 towards Þingvellir. We went to bed cold, having difficulties getting warm which affected our needs of a good nights sleep. I was twisting and turning in my sleeping bag, having momentary claustrophobic panic attacks, whenever I could not locate the well-tightened face hole. Due to the time difference our inner clock had us waken at 5AM. Everything went slow that morning, in fact too slow. 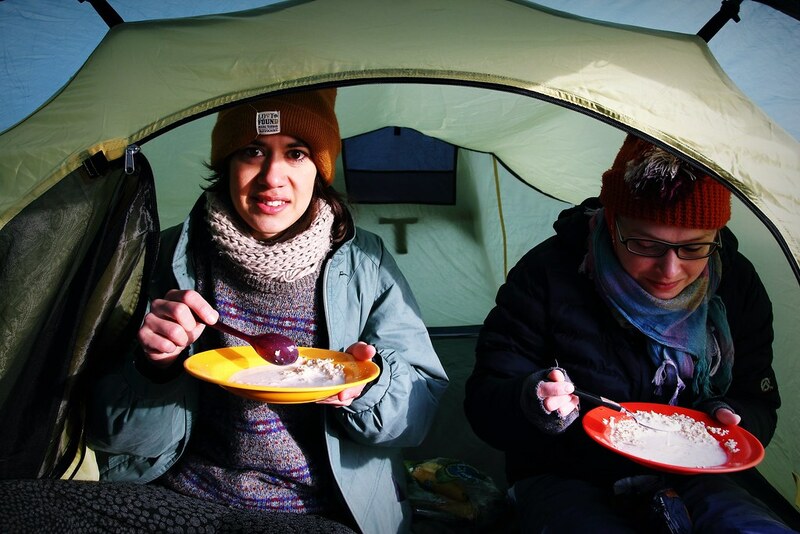 Our fingers were almost stiff frozen by the time we were ready to pack down the tent. First lesson learned: Get up and get out, fast! 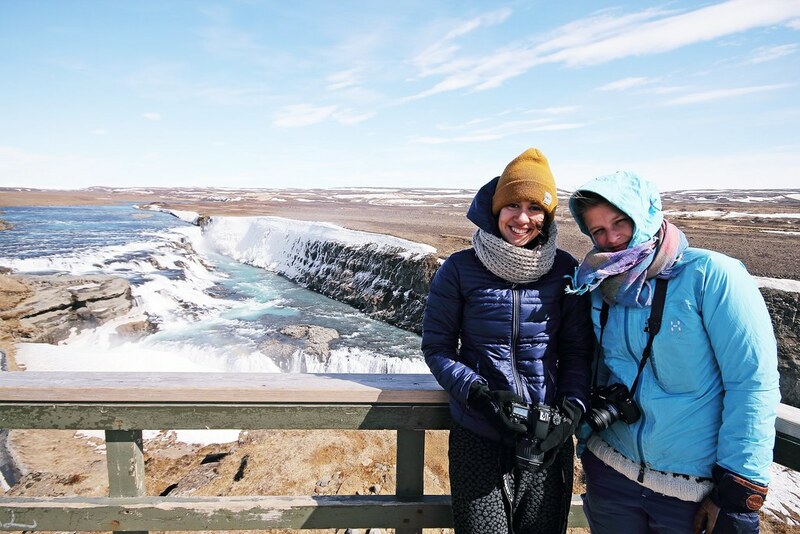 We took a drive through the Northern part of the Golden Circle, a popular tourist route due to its close proximity to Reykjavík. 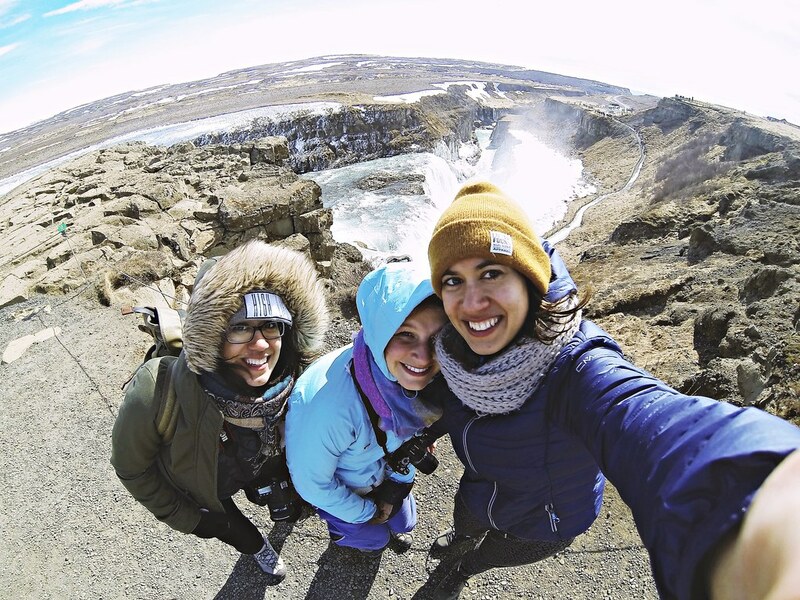 We stopped at the most popular spots: Þingvellir National Park where the first parliament is, the geothermally active valley of Haukadalur with shooting geysers, and the gigantic Gullfoss waterfall. 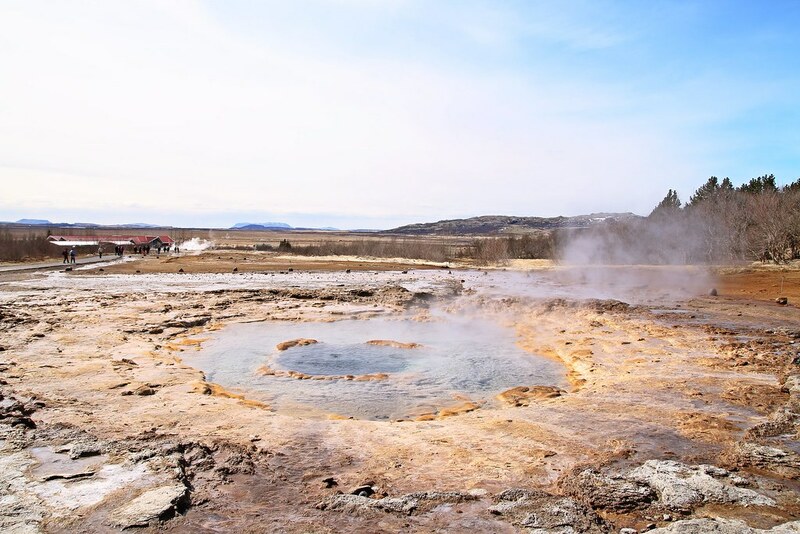 If you are staying in Reykjavík or only travelling in Iceland for a few days, this rute is definitely a golden opportunity to experience many of Island's diverse geological wonders and it can easily be done as a day trip. 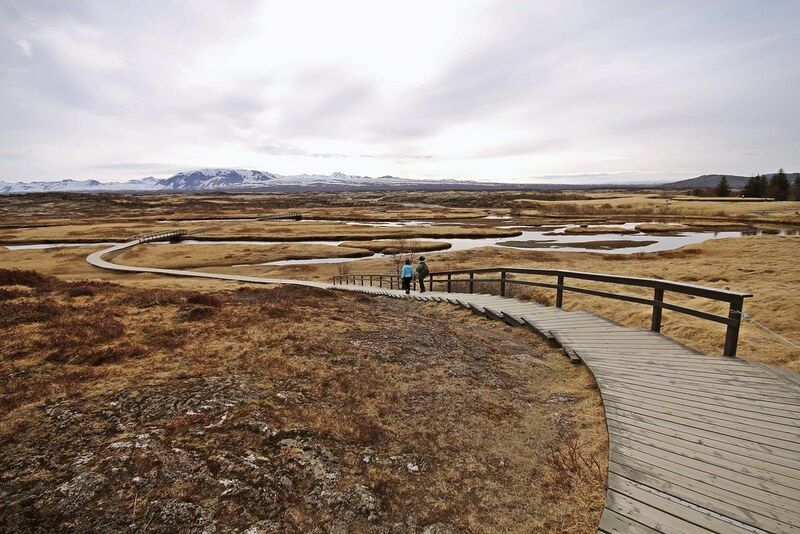 First stop was Þingvellir National Park, which is of historical importance as the first Icelandic parliament was established here back in 930. 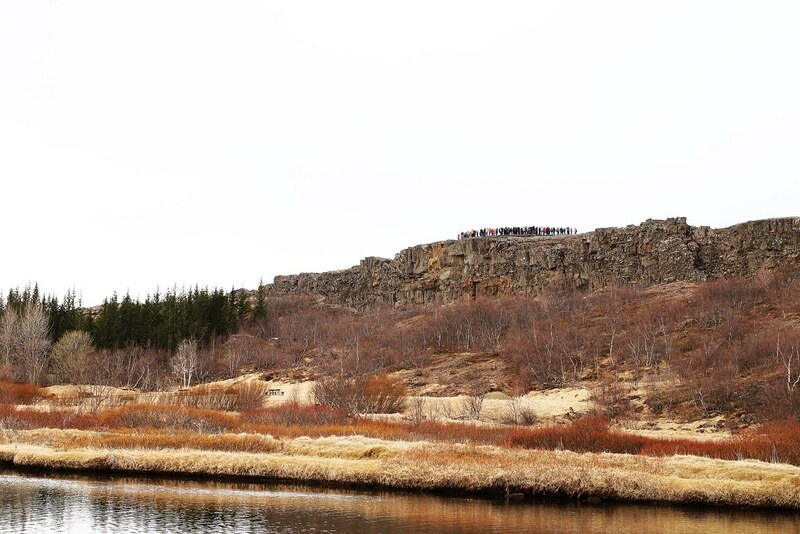 No parliament buildings remain, however, a flagpole has been erected near the plausible location. 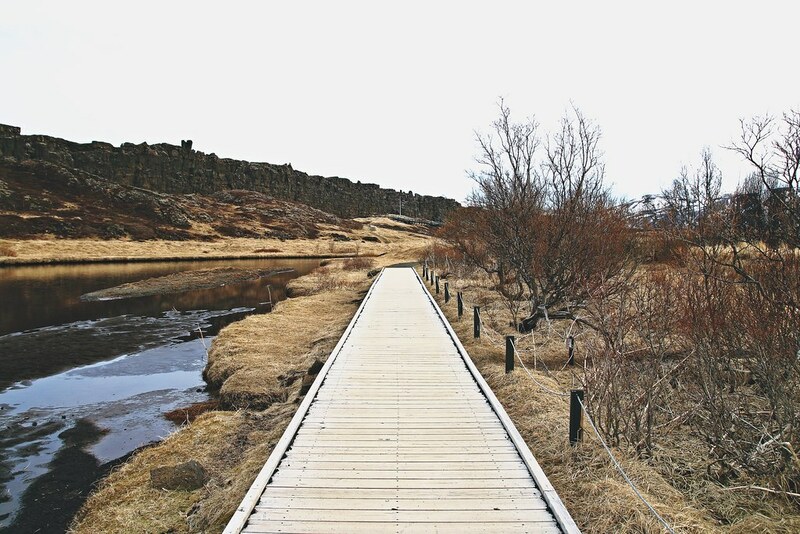 Þingvellir is furthermore a remarkable geological site and withholds the mid-Atlantic rift, a tectonic plate boundary along the floor of the Atlantic ocean that forms the longest mountain range in the world, and that separates the Eurasian and North American plates. 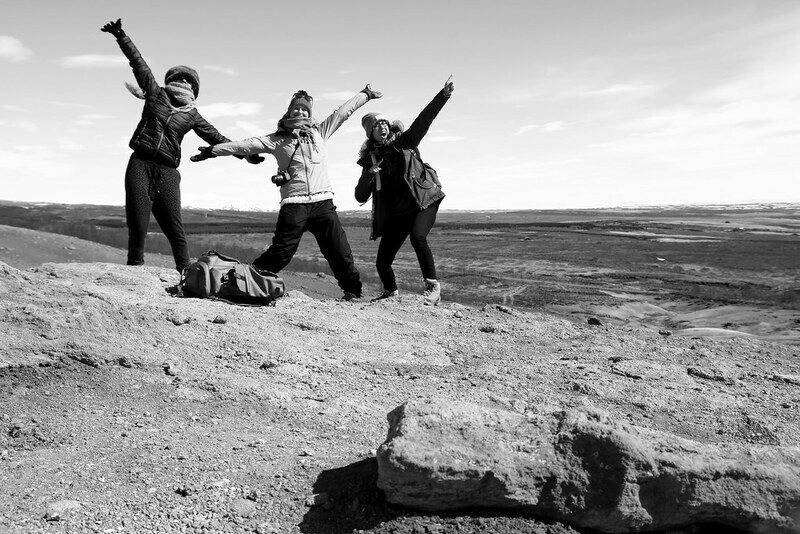 Here we were only standing on the North American plate, but on the very last day, we quickly passed by a spot, that allowed us to jump from one plate to the other. 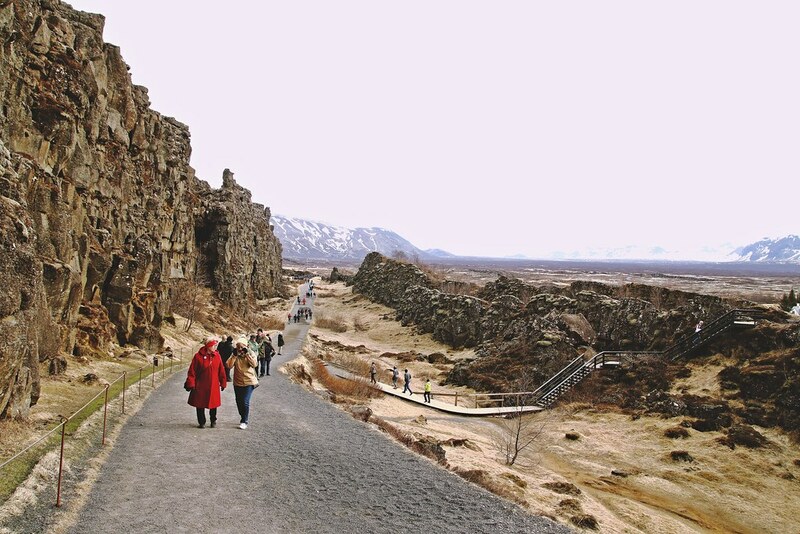 Intriguingly, the tectonic plates still separate from each other, causing Iceland to grow approximately 2 cm per year! 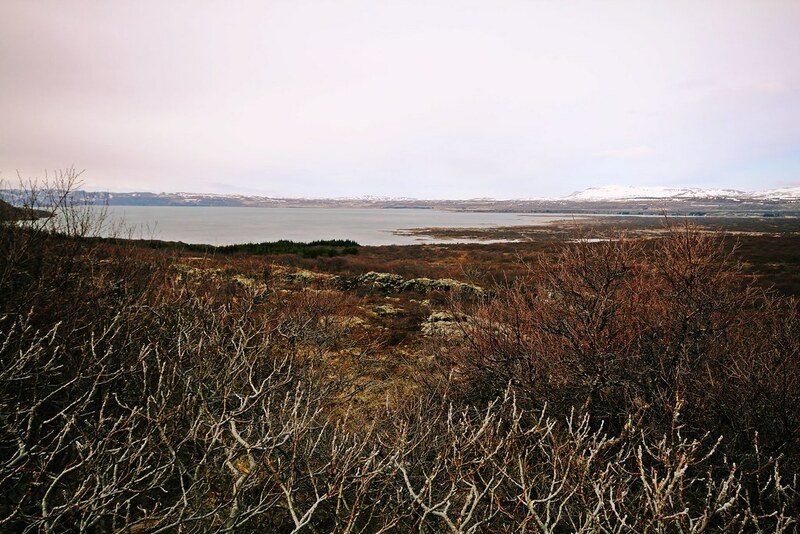 Þingvellir National Park was a beautiful morning seight with its red brownish golden colors and we basically had everything to ourselves. 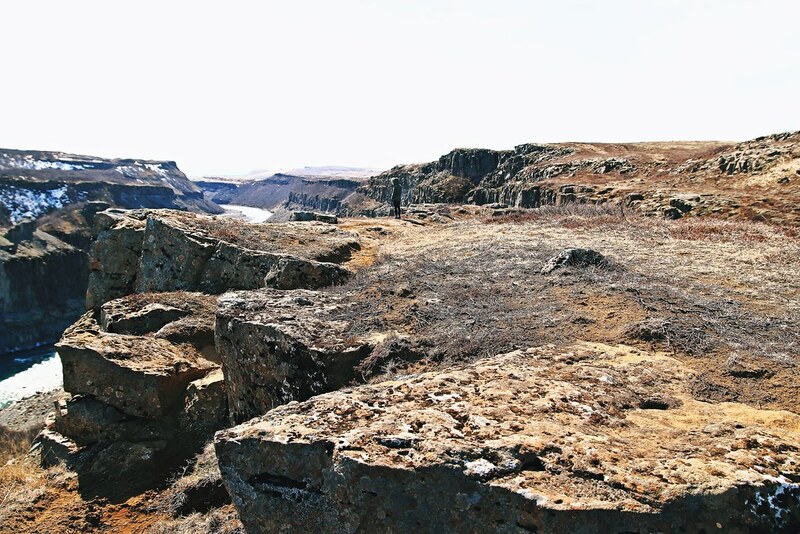 Next to the visitor center at Hakið you will find a viewing platform, which gives you a great outlook over the low flat land, that is the actual rift between the two plates. 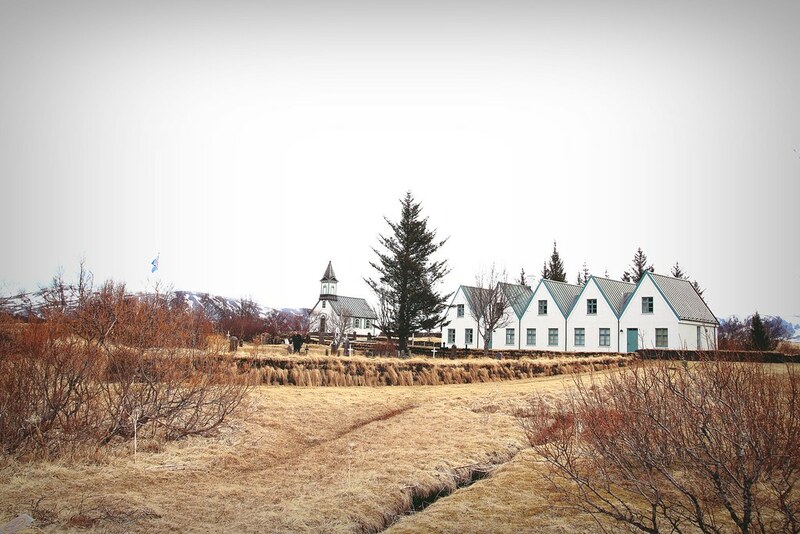 We followed the paved way through Almannagja rift and crossed the river to get to the white buildings; the church and manor houses. 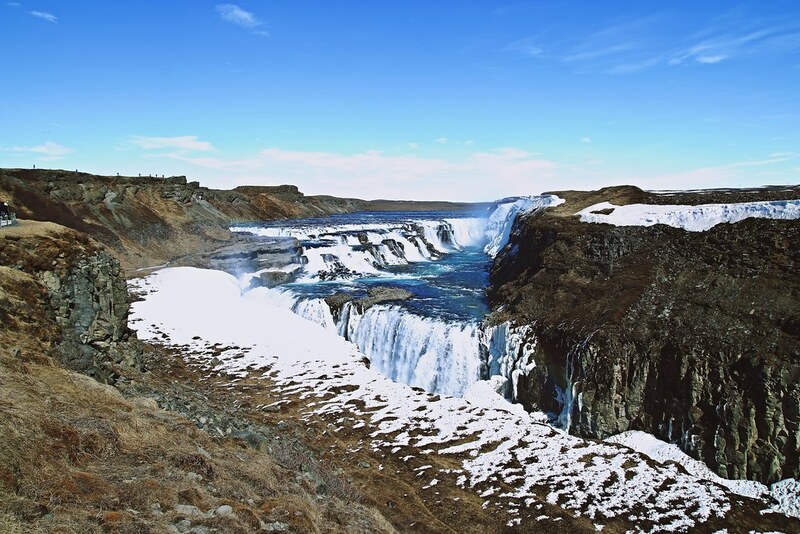 A short drive took us to the next big attraction within the Golden Circle. 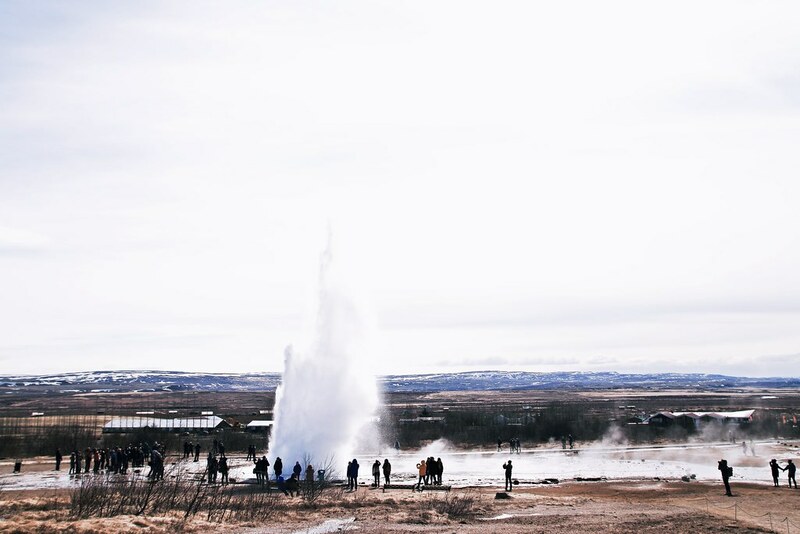 Haukadalur Geothermal Area is home to some of Iceland's most iconic features, its geysers - underground springs that send jets of boiling water and steam up into the air. 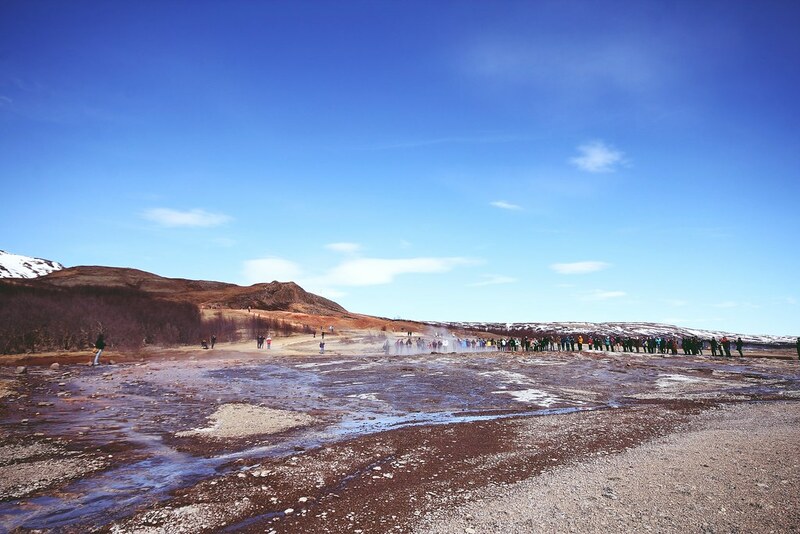 Due to Iceland's high geothermal activity we expected an all-around stench of sulfur, but actually this was not the case. Only near the geysers we had an occasional breeze of rotten-egg-burps. 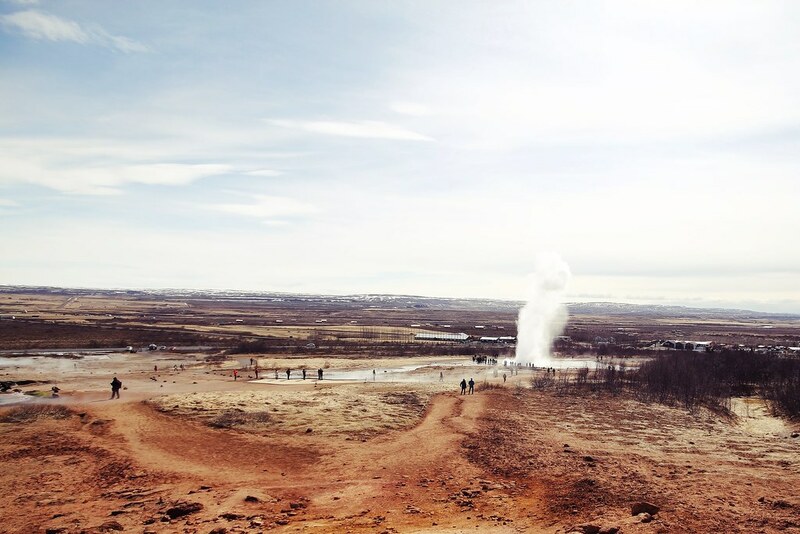 The famous Geysir, which has given name to all hot springs over the world, has gone dormant. 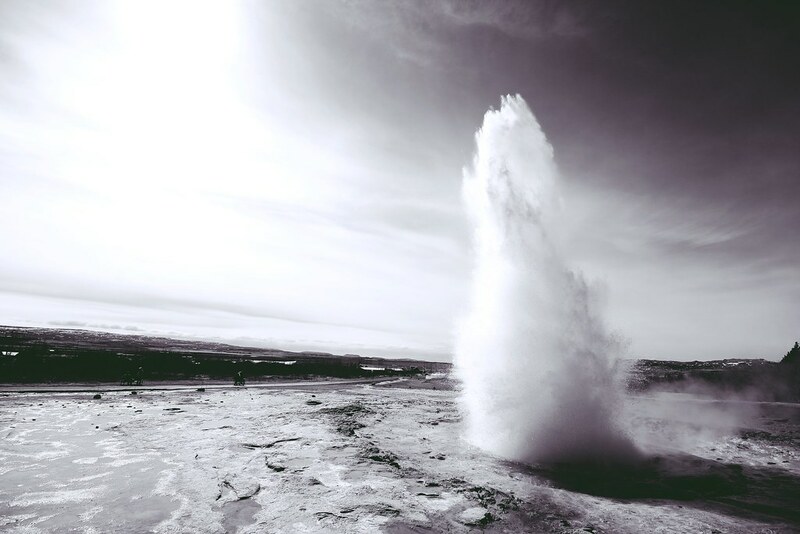 Instead we had the chance to photograph the Strokkur geyser, which certainly has become the diva of the show. 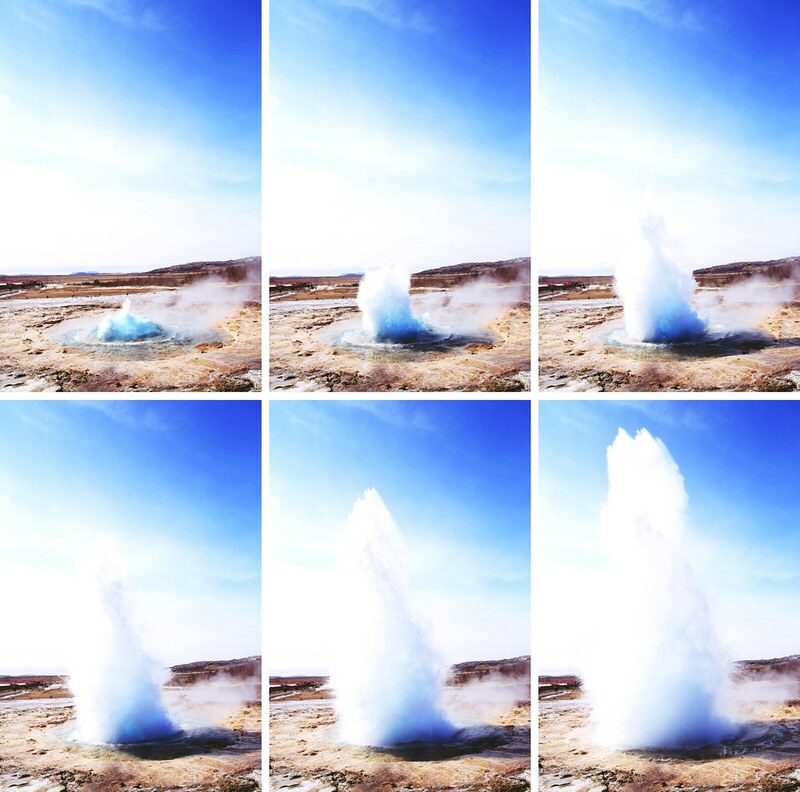 Eruptions are reliable and she puts on a performance every 5 to 10 minutes, shooting hot water and an occasional rock to heights of up to 30 metres. It is fascinating to think about the unseen and immense underground activity that actually takes place underneath the very ground we put our feet on every day. 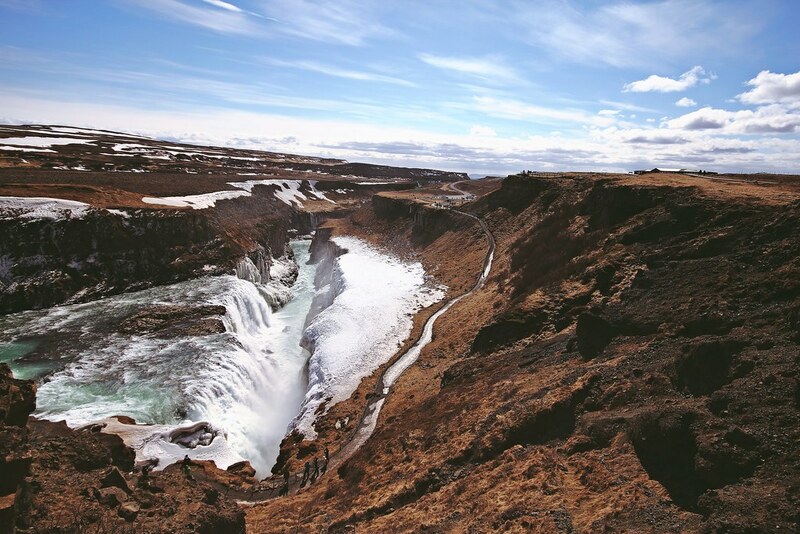 It is natural wonders like these that really puts the world into perspective. 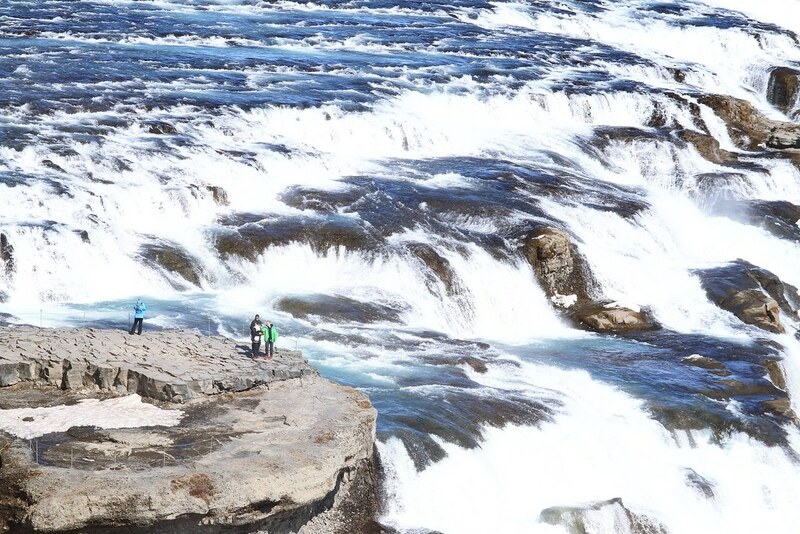 Gullfoss is a powerful double cascade, which is highly praised among visitors. 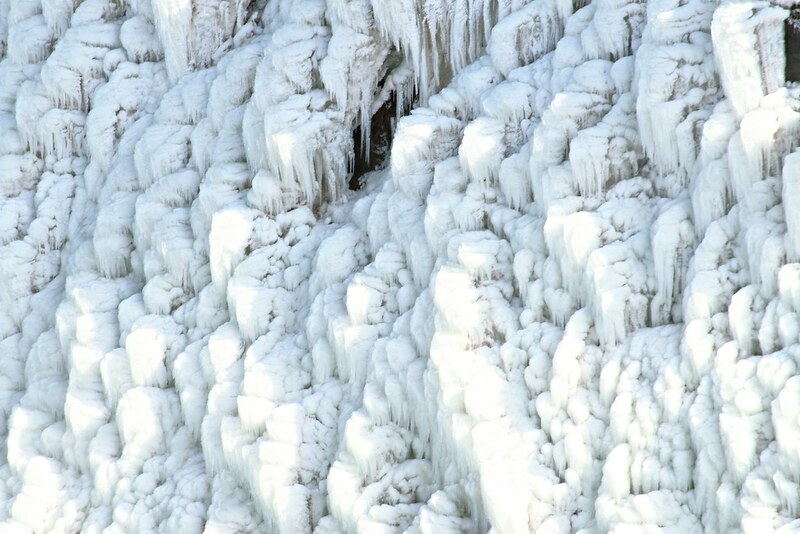 It drops 32m, kicking up tiered walls of spray before thundering away down a narrow ravine. 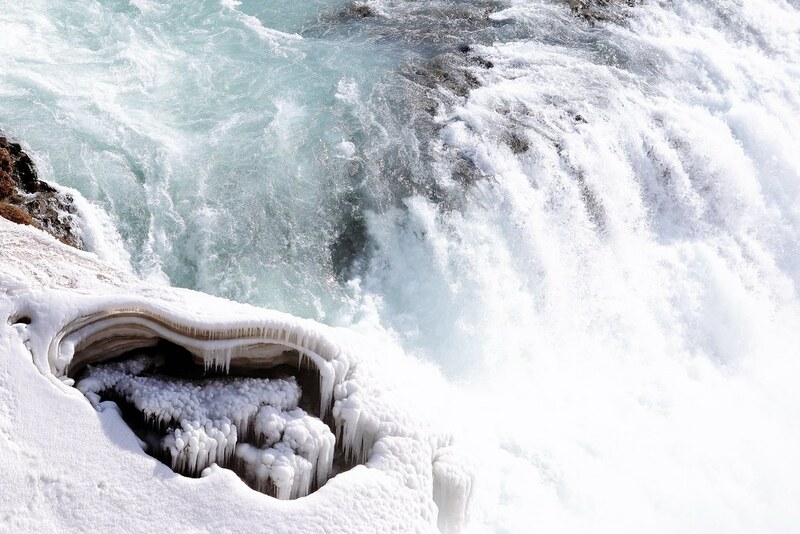 I loved that we catched a view of it, while snow and ice was still framing the waters; adding an additional roughness to the forceful powers of the waterfall. Due to ice we could not get right to the edge and let ourselves be overwhelmed by the colossal masses of water pounding its way forward - but it was still terrific. During late afternoon snow now came drizzling down from the sky and we decided to treat ourselves the luxury to spend the night inside. The Hestheimar Guesthouse near Hella was the perfect place and we opted for the sleeping bag accommodation in the attic above the horse stable. 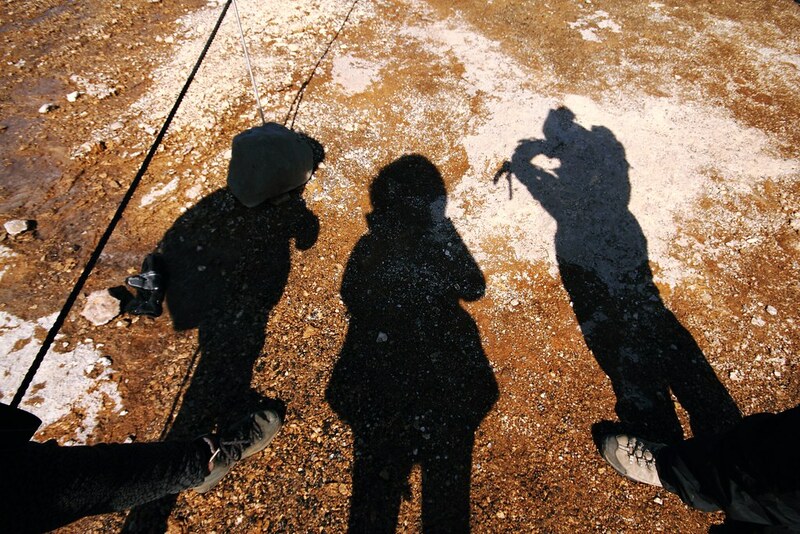 We were greated by the family dog, a mud-covered friendly soul, who chased our car from the gravel road to the front door. Inside we were bid welcome with a hot cup of chocolate and homemade biscuits, as we chatted with the Czech receptionist about Icelandic weather and Iceland as a travel and working destination. Before bedtime it was time for a dip in Hestheimar's steaming hot pot. 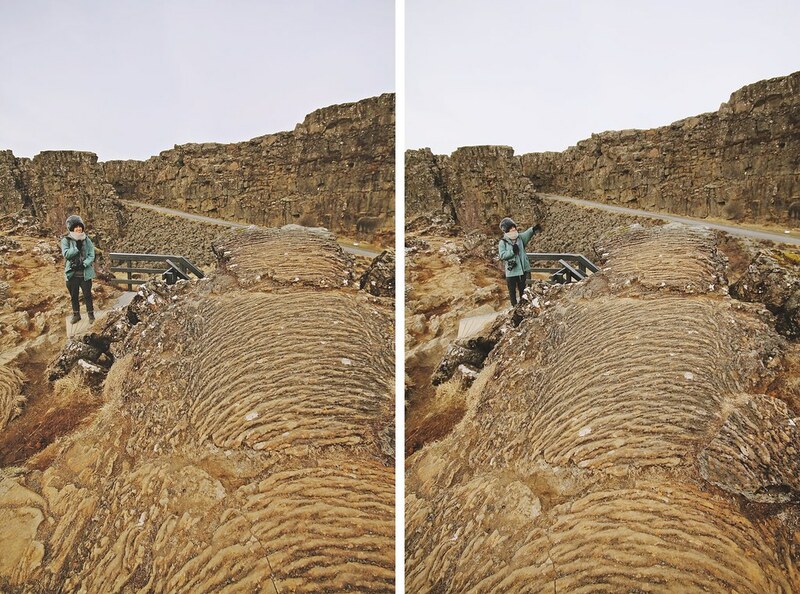 Actually, this was our only encounter with these famous outdoor baths. I was expecting them to be scattered left and right, bumping into them with ease - but that was not the case. 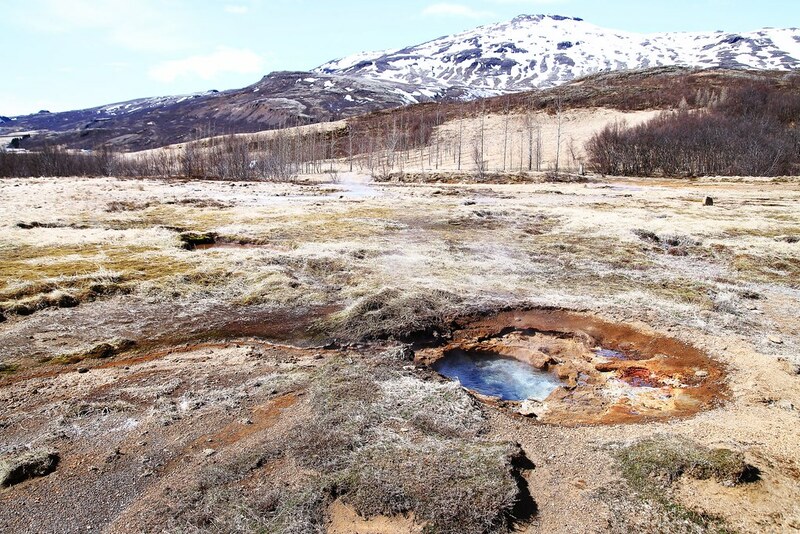 Our dream of transforming into bathing nymphs, who gracefully intertwined with the water of Iceland's natural pools, never really came to be. 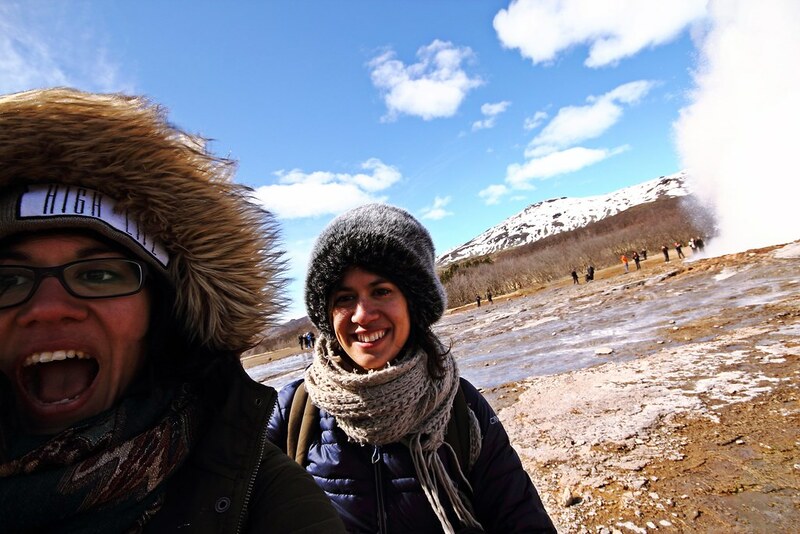 Nevertheless, at this moment, our bodies were soaking good and warm in the hot water as our eyes admired the snow-covered landscape while star-shaped snowflakes settled in our hair. Ups! Vi er lidt bagud med at svare tilbage, kan jeg se. Island er virkelig vakkert! 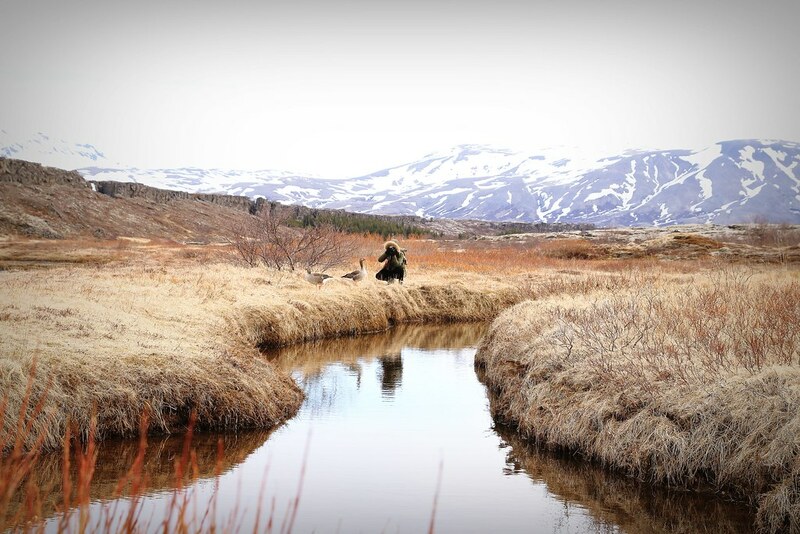 Veldig spennende natur og ikke minst alle naturfenomenene de har der oppe! Færøyene først og Island etterpå... dere har virkelig valgt ut de vakreste destinasjonene også da! Og lige et teknisk spørgsmål: Når nu har billeder der sidder ved siden af hinanden, fx liges om de små geysere billeder, er de så sat sammen på forhånd eller kan i pille så meget ved bloggen at i kan bestemme hvordan billederne sidder ved siden af hinanden? Så fantastiske bilder! Og det ser ut som om dere har hatt det helt fantastisk på tur! 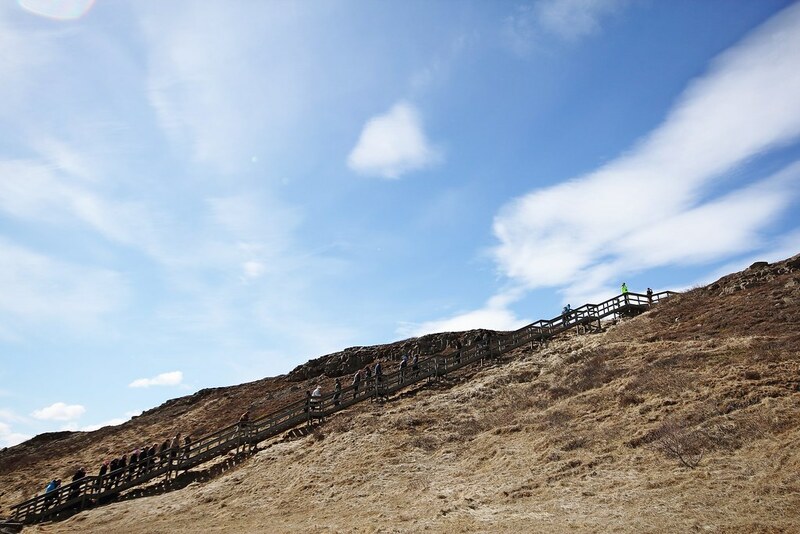 Nå fikk jeg utrolig lyst til å oppleve Island, så det spørs om ikke jeg må reise ved første og beste anledning.... Liker veldig godt ideen deres om å oppleve de nordiske landene altså :) Keep it going! 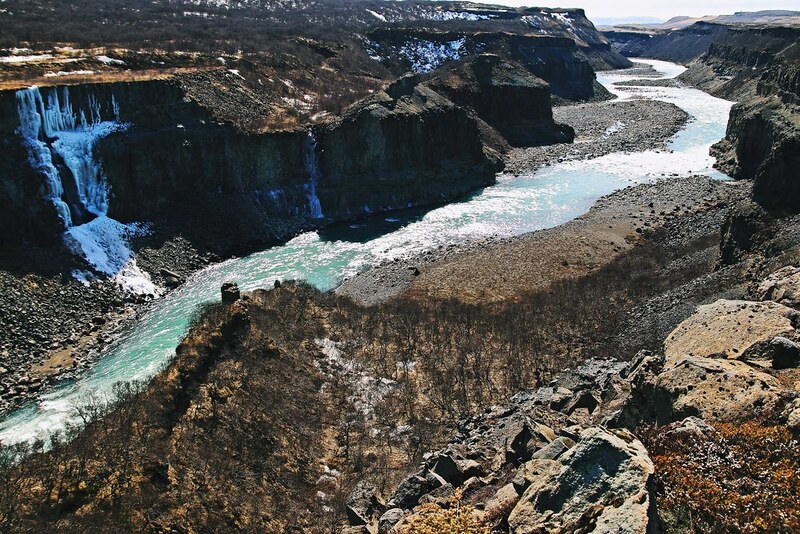 Iceland looks amazing! It seems like the place to be right now. 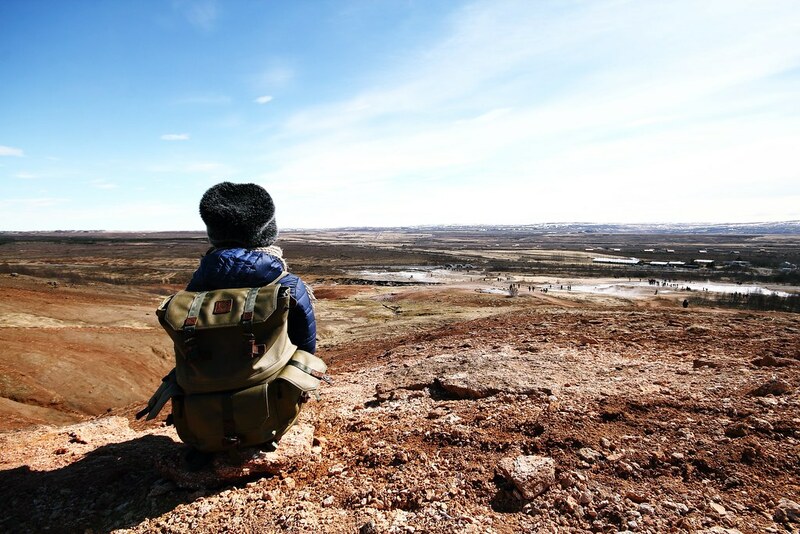 Great photos, this country looks amazing.